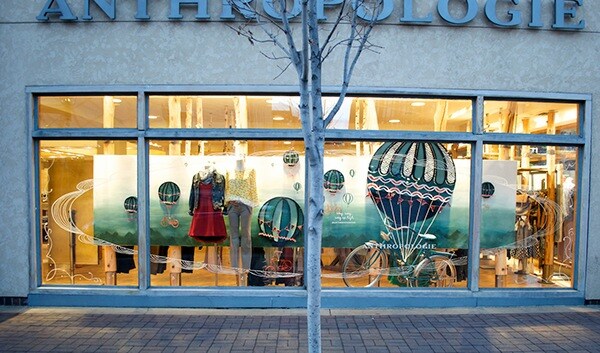 January 2014 // During my internship as visual display intern at Anthropologie's Kansas City, Missouri location, I collaborated and worked side by side with my mentor and display coordinator, Yulie Urano. 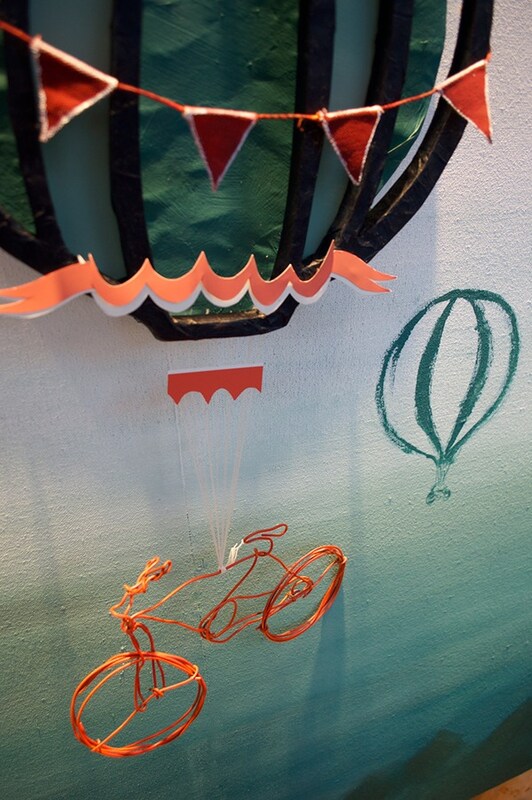 For the start of the new year, we took home office's Up Above hot air balloon theme and constructed a whimsical travel window display. Working hands on with foam board, card board, canvas and wire, my creative juices and physical craft were challenged. 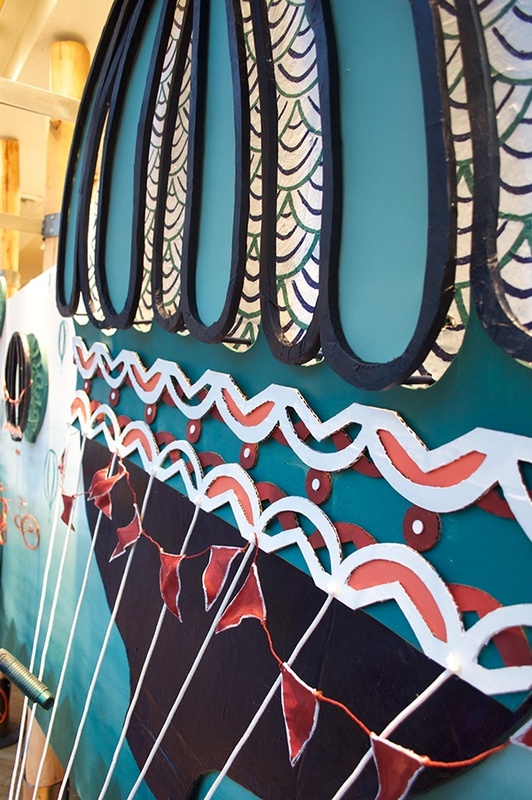 I was invovled from initial sketching to complete installation, as well as photography. 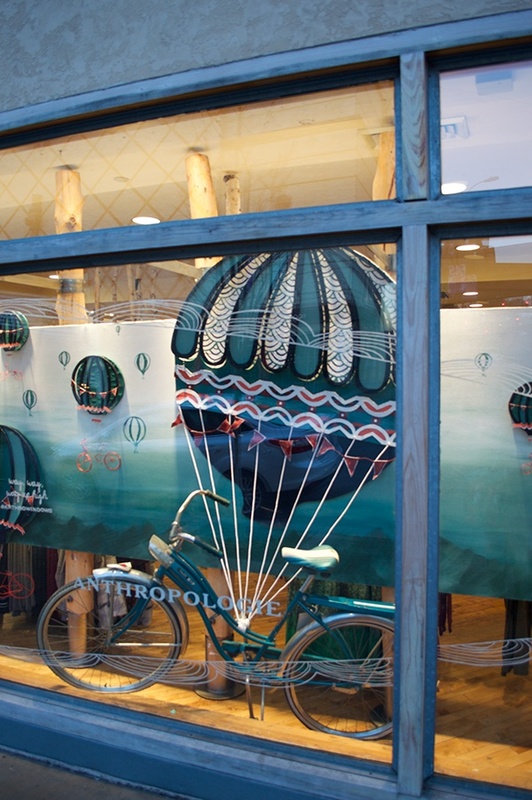 Together, Yulie and I produced a successful window that was featured in Anthropologie's home office Up Above highlight photo album.